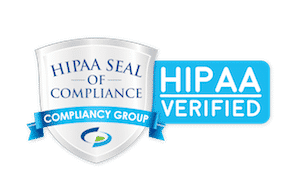 Adhere to the standards set forth in the Notice of Privacy Practices as outlined in HIPAA (Health Insurance Portability and Accountability Act of 1996). Collect, use and disclose PHI only in conformance with state and federal laws and current patient covenants and/or authorizations, as appropriate. ARC and its staff will not use or disclose PHI for uses outside of ARC, such as marketing, employment, life insurance applications, etc. without an authorization from the patient. Recognize that patients have a right to privacy. ARC and its staff respect the patient’s individual dignity at all times. ARC and its staff will respect patient’s privacy to the extent consistent with providing the highest quality care possible and with the efficient administration of the facility. Permit patients access to their medical records when their written requests are approved by ARC. If we deny their request, then we must inform the patients that they may request a review of our denial. In such cases, we will have an on-site healthcare professional review the patients’ appeals. All staff of ARC will maintain a list of certain disclosures of PHI for purposes other than referral and administrative services for each patient and those made pursuant to an authorization as required by HIPAA rules. We will provide this list to patients upon request, so long as their requests are in writing. All ARC staff will adhere to any restrictions concerning the use or disclosure of PHI that patients have requested and have been approved by ARC. All ARC staff must adhere to this policy. ARC will not tolerate violations of this policy. Violation of this policy is grounds for disciplinary action, up to and including termination of employment and criminal or professional sanctions in accordance with ARC’s personnel rules and regulations. From time-to-time our site requests information via surveys. Participation in these surveys or contests is completely voluntary and you may choose whether or not to participate and whether or not to share name and/or contact information. Survey information will be used for purposes of monitoring or improving the use and satisfaction of this site and of ARC Fertility’s services. We collect personal and financial information from you while you use the application interface on our website, on the phone, or in writing. Most of this collection occurs during the application process. Additional information may be gathered during your subsequent use of the website, phone calls or written correspondence, whenever you choose to provide it. · Maintaining regular communications with you concerning an application you initiate, such as requesting additional information or assistance or submitting a request for financing. If you do not want us to collect, use, and share your information as described in this Policy, you may opt-out by emailing a request in writing to marketing@arcfertility.com or to our address below and we will not use or disclose your information.